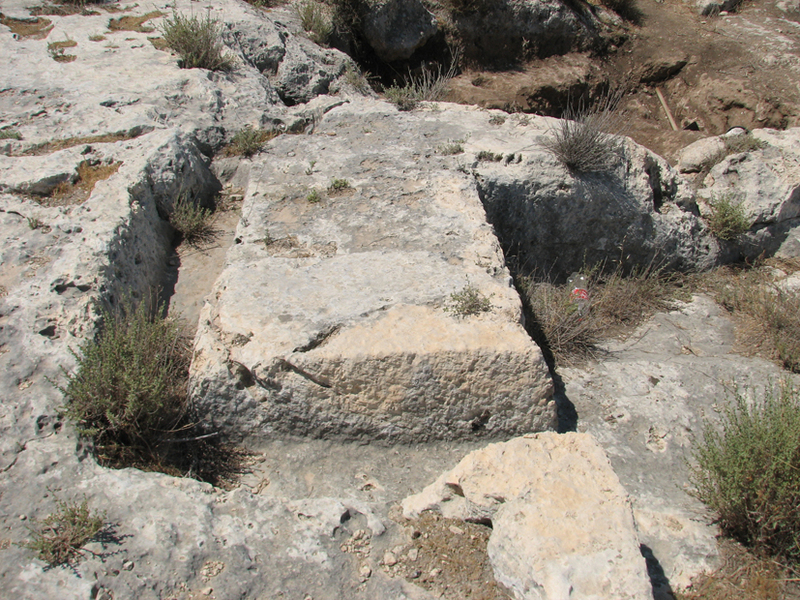 This site had previously been investigated by Dr Lilly Gershuny (‘Atiqot 53) and Ya’akov Billig of the Israel Antiquities Authority, who found water cisterns, buildings, wine presses, a mikveh (Jewish ritual bathing installation) and other features. In 2008 the modern quarry that uses the site today was to be expanded, so Y.G. Contract Archaeology carried out further investigations in order to record the archaeological remains now under threat. The project was directed by Tamar Shavi. Most of the ancient finds came in the form of quarrying vestiges, possible wine presses and cup marks. These features were all still clearly visible, carved into the surface rock. The associated pottery, mixed with soil in the holes and depressions and between the collapsed rocks, dates to the Roman period. 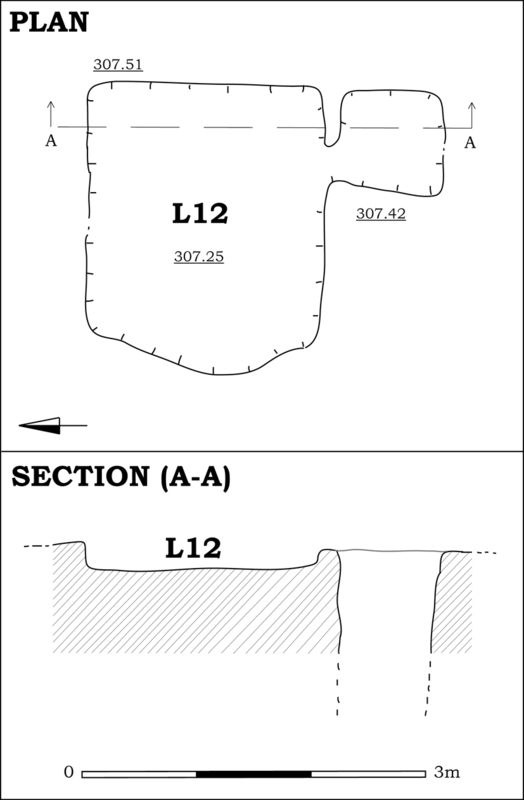 The site tells us something about the sizes of the blocks ancient workers were comfortable with quarrying and moving, and we can also infer details about some of the techniques involved in this quarrying. 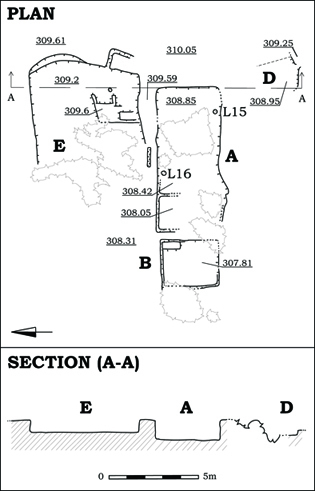 That other activities were taking place at this site is clear, and these activities correspond in part to those indicated by the archaeological remains in the previously-investigated areas of the site. Wine-pressing was evidently one such likely operation. One can only hope that the people who tasted the wine were not also quarrying the stone.